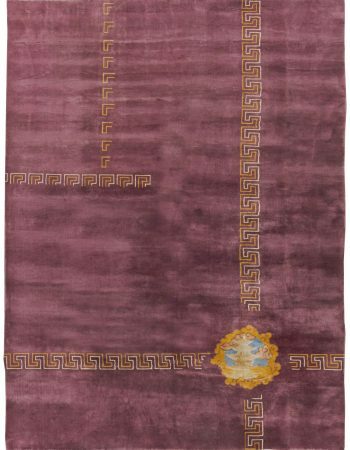 This lovely vintage rug is a graceful example of the iconic Moroccan craftsmanship. 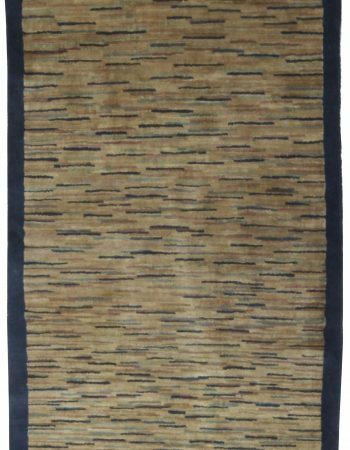 Although executed in the middle of the 20th century, the piece contains traditional kilim motifs which for centuries have served tribal women to express themselves and provide blessing to a household or particular families. The field is divided into sections, each encompassing a different symbol. We may encounter stars, generally thought to mean happiness yet by many believed to be a wish of fertility. The hope for matrimony is indicated by the elaborate central pattern which is also repeated at the two opposite ends of the main field; tiny birds stand for longing and expectation of news but may also be indicators of power and strength. 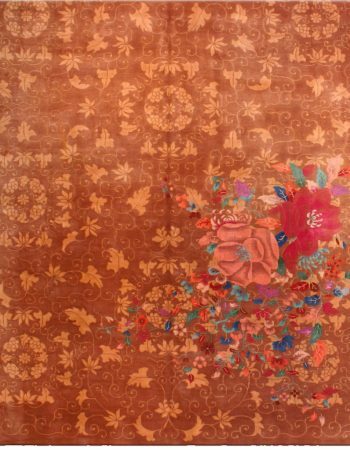 The series of borders is equally compelling with gentle flowers and numerous diamonds that are a universal symbol of protection against the Evil Eye which in fact is people’s jealousies and ill wishes. These strong and important messages are emphasized by a masterfully composed color palette of an elegant salmon shade, complemented by delicate beige and deep indigo. This balanced and heartwarming composition was thoroughly hand-knotted of the finest wool in old and refined weaving techniques which ensured its durability and uniqueness. 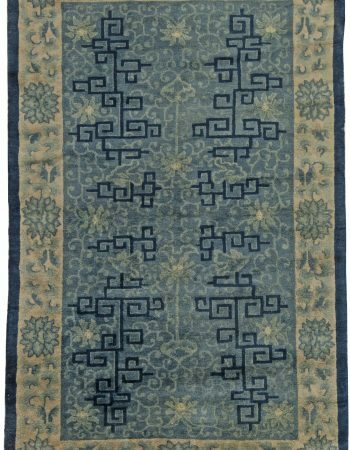 The Moroccan rug will be excellent for present day interiors in with a boho vibe, however it may as well fit into classic and minimalistic decors. 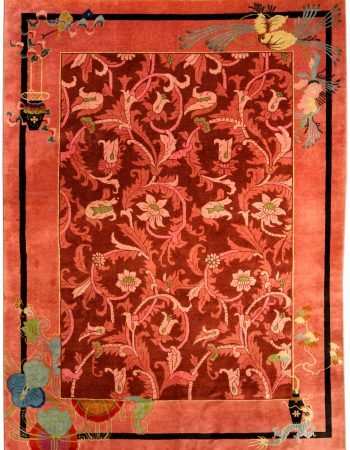 Moroccan antique rugs nyc are made in the five regions of Morocco: the Middle Atlas, the High Atlas, Rabat, Eastern Morocco and the Atlantic plains. Retaining an authentic indigenous character and woven by Berber tribes living much as they did centuries ago, vintage Moroccan flat woven and knotted pile rugs are remarkably diverse in style, but all share the characteristics of bold color, thick shaggy pile, naive yet charming motifs and lively patterns of geometric elements.